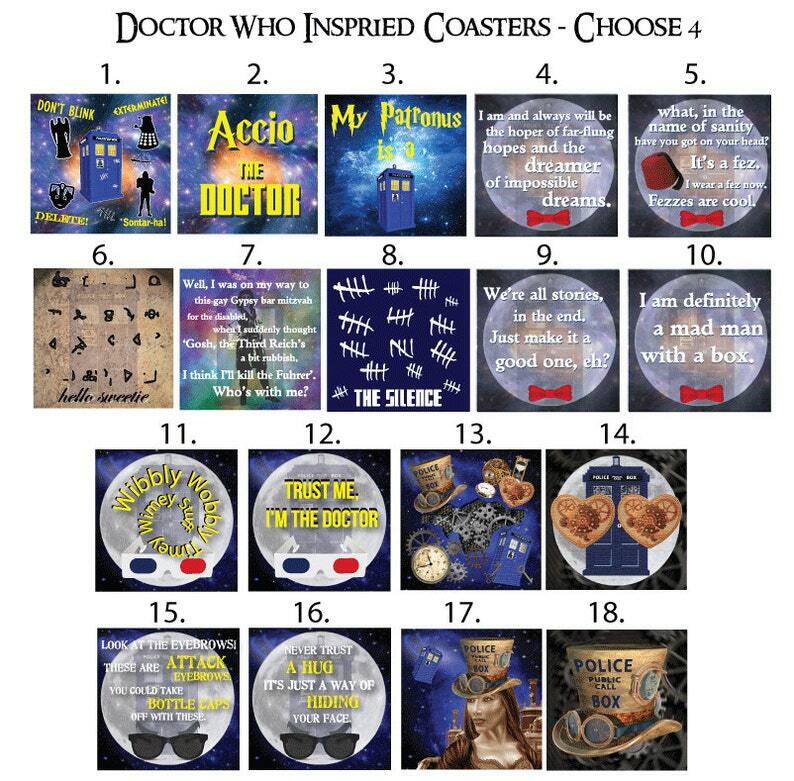 We all wish we could travel with the Doctor, but until that time comes, add a bit of the adventures of the Doctor to your home or office with our fandom inspired tile coasters! tiles, vinyl print, foam pads and white paint. All coasters are hand made and are water/condensation proof and easily cleaned by wiping with water. NOT dishwasher safe.